A Chinese prince from the Qing Dynasty and a modern day accountant become bound by an epic quest to right the wrongs of the past, and the possibility of a future with each other in Love and the Forbidden City. Accountant Julie Bird is on a business trip to Beijing with her young boyfriend when a shocking discovery results in the couple's break-up. Upset, and uncertain about her romantic future, Julie ends up lost in the countryside surrounding Beijing. When a handsome man rescues her from a highwayman, Julie repays his kindness by offering him a lift to the city. She soon becomes enchanted with Jeng, despite his odd clothes and archaic manners, but the revelation that he’s travelled from the past in an attempt to prevent a wrong is a little too far-fetched to accept without proof. Author Bijou Li paints a resounding portrait of Qing Dynasty China through succinct and informative descriptions of the political and social conditions of the time, but goes beyond this by adding details of day-to-day life that draw the reader into the past. Julie’s skills in mathematics and sleight of hand not only add interest to this charming romance but also build tension through several surprising minor plot twists. Julie's maturity tempers her tendency to be melodramatic and her romantic indecisiveness is convincing as Li incorporates a mild love triangle amongst the political intrigues surrounding Emperor Kangxi’s death, and successor. 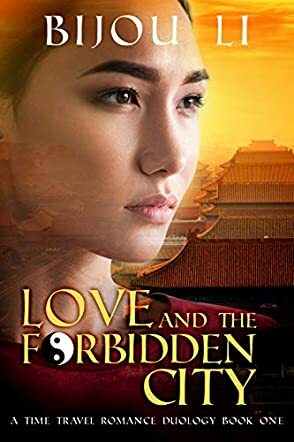 An unique take on time travel, compelling settings, and nuanced characters make Love and the Forbidden City an unusually entertaining romance read.